Our collection of floors, designed to enhance the beauty of wood, has been inspired by our love for wood. On a wooden floor, often the "signs of the time" acquire a different meaning: imperfections and wrinkles add rhythm to the surface and enhance its shades of colour indeed, the "I GIGANTI" collection is inspired by this philosophy: the planks are obtained from old teak boards coming from India, which are restored manually to obtain different chromatic effects. 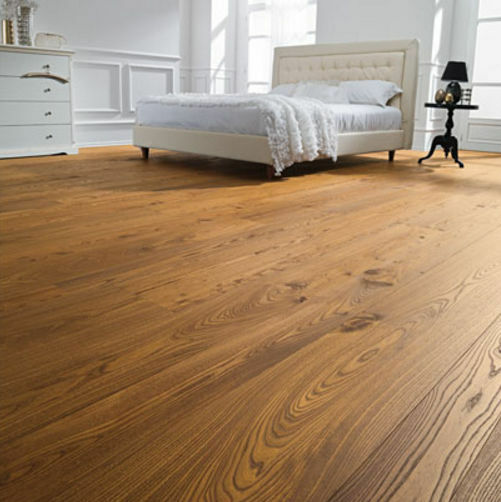 Our range also includes Elm and Oak floors, which are treated and finished to obtain the same effect and thus complete the range of finishes. Raised grain, knots and inlays have become the distinctive features of 13 unique floors. * Thickness: 15 or 20 mm. * Width: 130 to 360 mm. * Length: 1500 to 3000 mm.